Melbourne, are you ready to shop til you drop? Well then mark your calendars because iconic retailer Debenhams is set to open its first Australian store this Tuesday at St. Collins Lane. Debenhams is the answer to all your international shopping fantasies – transporting the best of Britannia cool right to the heart of the Melbourne CBD. Our highlight? Being able to afford our favourite British designers for the first time! Think the likes of Julien Macdonald, Matthew Williamson, Jenny Packham, House of Holland and Preen and trust us we know, name-dropping has never looked and sounded so good. The Designers at Debenhams collections sees these coveted designers create fashion-forward ranges at high-street prices. Talk about #winning! Beauty addicts can also take a sigh of relief, as stocking up on all your holy grail products will be a walk in the park with a MAC concept store set to make its mark on Ground Floor and brands such as Tom Ford, Bobbi Brown, Gucci, Chloe and Valentino on Lower Ground. For the suave Melbourne man, Debenhams will bring British labels such as Hammond and Co. by Patrick Grant and J by Jasper Conran that will no doubt be staples in any wardrobe. Feeling tired from your long shop? Stop by the very Instagrammable Haberdasher café on Lower Ground for your coffee and pastry fix. As if all these goodies weren’t enough, Debenhams is also launching an app that will allow shoppers to earn rewards, track loyalty information and get exclusive benefits. Sign up before opening day to become a foundation member, getting you ahead of the game before you even step into store! 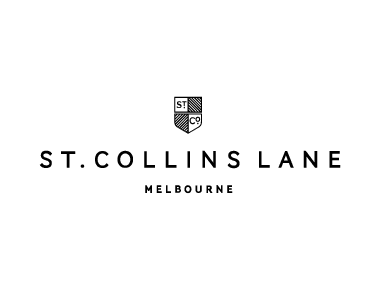 Debenhams will be located on Ground Floor and Lower Ground at St. Collins Lane.